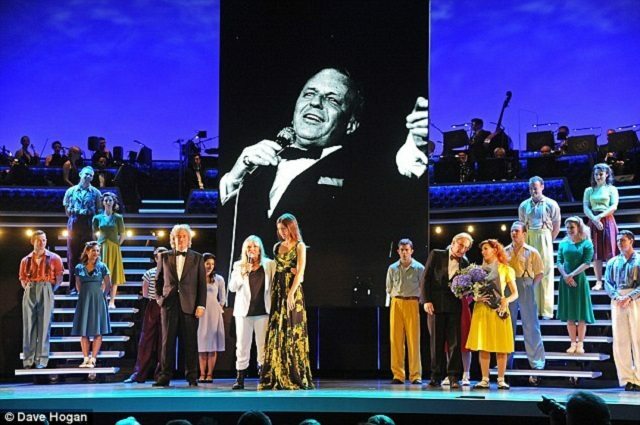 When Nancy Sinatra has already declared “it’s Frank doing Frank!” on the opening night, thereby granting an official seal of approval to Sinatra: The Man and His Music, there’s a sense that any other kind of response is rendered invalid. Coinciding with the centenary of Ol’ Blue Eyes’ birth, it is a celebratory tribute show that puts 20 dancers and an orchestra of 24 on the stage of the London Palladium alongside 3D video footage of the man himself, singing some of the greatest songs ever written. So far so good. Visually impressive as it undoubtedly is, there’s something rather hollow about the whole experience of David Gilmore’s production. As interview footage of Sinatra and those around him leads into video footage of him singing, all narrated his ghostly presence too, you realise the extent to which all of this has been carefully chosen, calculated, manipulated into the archetype of the crowd-pleasing, popular entertainer who can thus never disappoint. PLUS the 3D technological wizardry on display to attain this is an achievement in its own right. However, sadly spectacle is not the same as heart and projection is not the same as live performance. There’s none of the unpredictable thrill of going to a gig here, although the increasingly inebriated and raucous audience members to the front of me may disagree, but nor is there the pleasure of real theatre. Instead, it’s a heady confection of empty calories, a Vegas-style explosion of superficial showmanship and even then, there were moments when the strident sound of the orchestra overwhelmed the vocal tracks, another example of where a live performer would have been better. Maybe the point is that there is no-one else like Sinatra though, his ability to thoroughly inhabit a piece of music to give it his own tone, reshape it in his own way of phrasing and still convey worlds of emotion remains second to none and there is the benefit of hearing that this loudly. 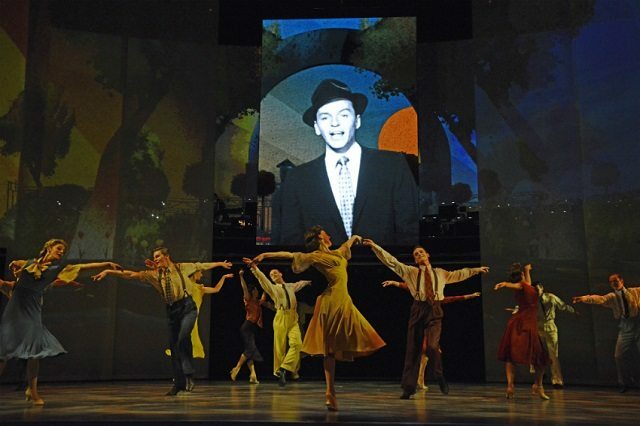 ‘Fly Me To The Moon’, ‘I’ve Got You Under My Skin’, ‘One For My Baby’; the list goes on and on as "Sinatra" explores the Great American Songbook but you can put a CD on to do that and with a screensaver flickering away to replicate the projections here, Bob’s your uncle. Better, more searching biographies have been made too so track those down instead.